Although Memorial Day has lost a bit of its cachet over the years as the big weekend for summer movie launches, it's still one of the prime weekends to launch a major franchise film. That continues this weekend as we have yet another entry into this year of second-, or maybe first-and-a-half-tier comic book movies. This is The Avengers project of the X-Men, folding a large number of stories into one omnibus tale, and using almost all of the actors they could to play all the previous mutants, including both Magnetos and Professor X-es (though notably, just the one Kitty Pride and Mystique) and add in Peter Dinklage as the film's main antagonist, in a bold move that plays well against the actor's height. File it all under Heroic Feats of Casting. Director Bryan Singer also returns after sitting out the last few films, although I don't think his name will add as much to the box office as much as him not being Brett effing Ratner will. Indeed, reviews are the strongest since the second X-Men film, with the complicated plot and return to a humorous and fun approach to the mutants being a welcome development. Look, if we're going to have an apocalypse, there's no reason it has to be dreary, you know? 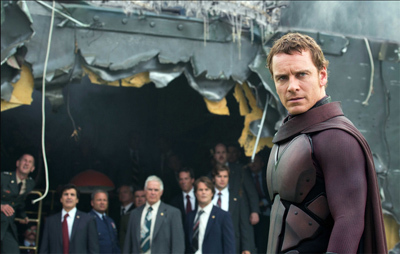 The X-Men franchise has suffered since the simultaneous (box-office) high and (quality) low of The Last Stand, with First Class and the latest Wolverine movie both opening to the mid-50s. Clearly the hope here is to follow the Batman, or at very least, the Spider-Man, model with a re-established franchise taking one movie to setup the slam dunk of the next. Of course, the recent Godzilla movie has shown that that intermediary step might not be necessary if your movie is actually handled and advertised well, but since this film has done both, the effect will be hard to separate. However, with all the key factors pointing in positive directions, it looks like we could be headed for an opening weekend of $90 million over three days, and $108 million over four days.